Elsa’s going to become the first gay Disney Princess if these rumors we’re hearing about the plot of Frozen 2 pan out. According to Revenge of the Fans, a couple of very reliable sources are reporting that Disney and the film’s creative team are about to confirm once and for all that Elsa’s a lesbian. On top of that, it seems as though she’s set to get her own love interest, apparently to be voiced by LGBTQ actor Evan Rachel Wood. 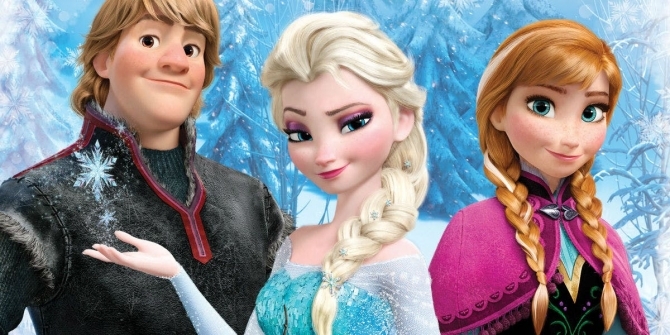 Frozen 2 is about as guaranteed a money-making machine for Disney as you could imagine, so if this did pan out, it’d be a pretty bold decision for the company. After all, the news is certain to be greeted by howls of derision from the right-wing press in the US, not to mention the inevitable boycotts and bans in countries with homophobic laws preventing gay characters from appearing in films (especially ones aimed at children). For a taste of what this furore could look like, cast your minds back to the drama caused by Josh Gad’s LeFou in Beauty and the Beast being gay. He was a minor character and his sexuality was largely subtext, and that resulted in an enormous international backlash. Now, imagine that cranked up a hundred fold. But they don’t just have to worry about bad press from bigots, as they’re also walking a very fine line in making Elsa gay in a way that pleases the LGTBQ community. After all, look at the stink that was kicked up by Disney casting straight actor Jack Whitehall as a camp, gay character in the upcoming Jungle Cruise. Now, Idina Menzel is also straight, so they must be aware that they’re walking into a potential minefield on this, which might explain why they’ve added writer Alison Schroeder to the team, whose Hidden Figures was praised for the sensitive and empowering way it treated women and minorities. If this does prove to be true, then full credit to Disney for their bravery. You could cynically argue that this is a great way to drum up free publicity (not that Frozen 2 really needs it) as well as making the film a political event in the same vein as Black Panther. But regardless of their motivations, more prominent gay characters is an unambiguously good thing and we’re certainly curious to see which road they take Elsa down in Frozen 2.